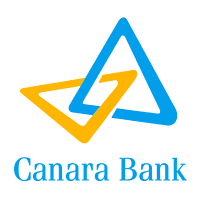 Canara Bank (Tanzania) Limited [CBTL] was registered under Tanzania Company Act, 2002 on 2nd November 2015. The bank has started Banking Operations on 9th May 2016 with opening of Dar es Salaam branch at Plot No 16/1, Elia Complex (GF), Bibi Titi Road, Zanaki, Dar es Salaam. The Officer Human Resources & Legal must be an experienced professional with knowledge of all matters concerning HR & Legal department. Reporting to Head – Human Resources, the incumbent is responsible for Manpower Planning, Training and Performance Management. » Recruitment & Selection – responsible for recruitment meeting the Bank’s skills requirements » Learning & Development – develop and implement capacity building initiatives / formulate the annual training plan. » Performance Management – Managing the Bank’s Performance Management system. » Liaise with Heads of Department to implement a career and succession planning matrix for every department. » A bachelor’s Degree in a relevant subject. » Responsibilities in Training / Performance Management in a bank. » Strong presentation and good communication skills both written & verbal. » Messenger work including handling / delivering files, cheques and instruments etc. » Prime interface between customers and the Bank. » Assisting customers with issues relating to their accounts and queries relating to cash and other transactions etc » Marketing and cross selling of Bank’s products and services to existing, walk in and potential customers. » Strong communication and reporting skills. The Personal Assistant to MD must be having experience in the secretarial positions. Reporting to MD, Responsible for drafting corresponding letters for MD, receive visitors and arrange appointments, assist in organizing meetings, duties related to Board meetings and Annual General Meeting. » To carry out necessary instructions of the Managing Director. » Duties related to board meeting preparations. Drafting of agenda, memorandums, minutes of board meeting, annual general meeting, credit, audit, risk management and other sub committee meetings. » Duties related to Board of Directors, all correspondence in relation to approvals of new directors / appointment of directors to BOT and resignation of directors. Registration / termination of Directors from Brela. » Duties related to annual report preparations i.e. drafting, binding & distribution. » Drafting of office correspondence of MD. » Strong Communication, reporting and analytical skills. » Strong language skills-both written /spoken English. » Must be Computer literate. Familiar with MS Dos, Ms Word, Ms Excel, Ms Power point, Internet, outlook etc. The Officer Marketing & PR must be an experienced professional with knowledge of all marketing skills & Public relations. » Preparation of Call Reports and follow ups. 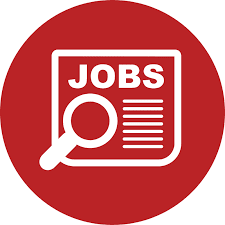 The Officer Treasury must be an experienced professional with knowledge of all matters concerning Treasury operations and settlements. Reporting to Head – Treasury Department, the incumbent is responsible for forex and money market operations. » Verification of all Swift Outward messages and its proper disposal to the relevant departments. Authentication of inward Swift messages and ensure the proper credit. » Trade finance – Foreign collection / purchase of bills and the related work. » Proper funding and optimum utilization of various NOSTRO and BOT clearing account. » Monitoring and maintaining various regulatory ratios. » Settlement of treasury bills and bonds and placements in Interbank money markets. Monitoring of its P&L account on regular basis. » Daily monitoring of Bank’s funds position and inform to front office. » Submission of Data for the ALCO and investment Committee meetings. The soft copy of application must be sent only to; mdseccbtl@canarabank.co.tz before 30 November 2018.